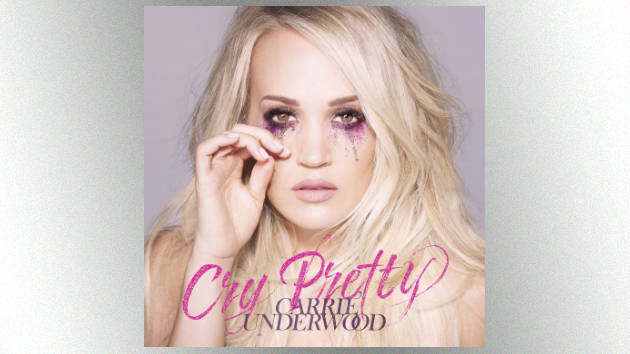 Capitol NashvilleCry Pretty, Carrie Underwood‘s first new album since 2015’s Storyteller, arrives today. Though it’s been nearly three years since Carrie’s last record, she actually started the new studio album, her sixth, soon after wrapping her massive Storyteller Tour. The soon-to-be mother of two admits it took a little while for her to be ready to write. That’s how she discovered her eventual co-producer, David Garcia. Eventually, Carrie decided to step into the producer’s chair with David’s help, and by the beginning of 2018, they were off and running. “We jumped in the studio. We had a lot of songs written, a lot of songs collected. Just had to figure out what was gonna make the cut,” she says. In the end, thirteen songs, including the top-ten title song, and her new single, “Love Wins,” made it to the record.